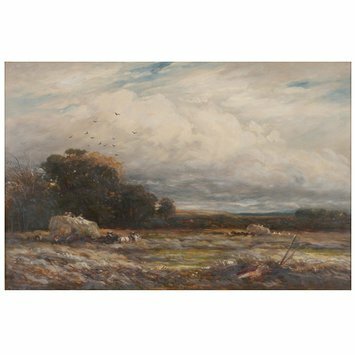 Historical significance: The landscape painter and watercolourist James Orrock (1829-1913) was born in Edinburgh. He studied medicine at Edinburgh University, and qualified as a dentist. During time spent as an apprentice in Leicester, he made drawings and travelled around the midlands filling sketchbooks. He moved to Nottingham in 1853 where he established a dental practice. During his time in the city he attended the Nottingham School of Design. In 1866 Orrock gave up his dentistry practice in order to become a professional painter, and moved to London. He had lessons with William Leighton Leitch in 1870. In 1871 he was elected to the New Watercolour Society, later the Royal Institute of Painters in Water Colours. 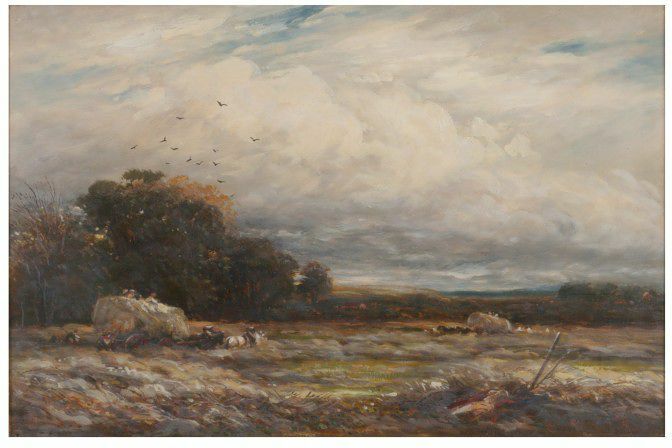 Thereafter he became a vocal advocate of the English watercolour tradition exemplified by J. M. W. Turner, David Cox, Peter de Wint and William Henry Hunt, who he felt were not adequately represented in British museums. In 1900 Orrock presented a group of 27 oils and watercolours to the V&A (which before the establishment of the Tate Gallery was the National Gallery of British Art), a generous gift which was intended to address this issue. 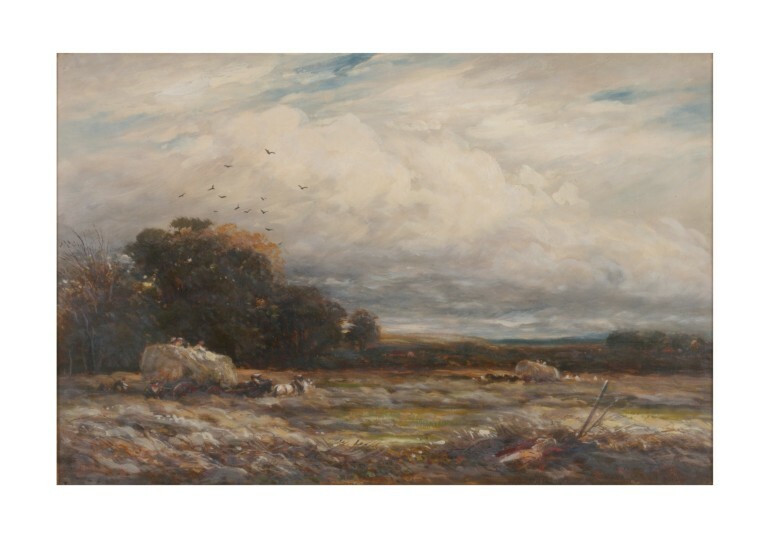 Orrock's admiration for the work of David Cox in particular is apparent in his characteristic free handling of paint, and in his choice of landscape subjects which show breezy days and rapidly changing weather. This painting was bequeathed to the V&A by Henry Spencer Ashbee (1834-1900). Ashbee was born in London and educated at schools in Esher and Kensington. He was apprenticed to a firm of warehousemen, for whom he travelled extensively for some years. He was the founder and senior partner of the merchants Charles Lavy and Company of London, who specialised in silks. Ashbee was elected Fellow of the Society of Arts in 1877. In 1881 he travelled around the world, and was the author of numerous articles, particularly on bibliographical subjects. He collected the finest library concerning the life and work of Cervantes outside Spain, and his bequest of watercolours and oil paintings to the V&A in 1900 includes many illustrations of Don Quixote.